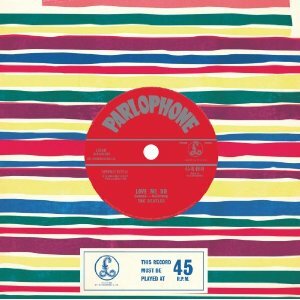 Friday, the U.K. was to get a special 50th anniversary vinyl single of the Beatles first release, Love Me Do, released fifty years to the day after its initial issue. Now, nobody knows if the single will ever see the light of day. EMI unceremoniously pulled the single from release this week saying that the pressing was "faulty." Specifically, they say they used the wrong track on the pressing. 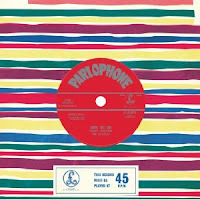 There are two versions of the single, one with Ringo drumming that was used on early versions of the single and one with substitute drummer Andy White that is heard on the Please, Please Me Album. EMI used the White version for the commemorative release. Unfortunately, this may be the end for the single. EMI told dealers in a statement "It is yet to be decided whether the single will be re-pressed." A few of the discs may have gotten out as the dealers had received their shipments (EMI demanded their return). If a few were already shipped, there could be a huge collectors market. Meanwhile, George Martin discussed the early days of the Beatles with the BBC's Will Gompertz, saying that Love Me Do was the "best of a bad bunch." Martin really wasn't that impressed with the Fab Four's sound at the time, but he was fascinated by their charisma.